SOME DAYS WE ALL WISH OUR HAIR HAD A RESET BUTTON. Let’s face it, hair colour need not last forever, & with Eraser it doesn’t have to. 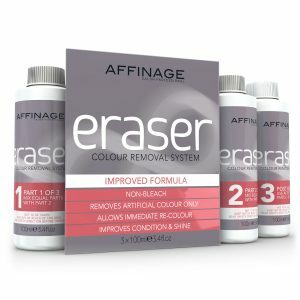 A revolutionary, non-bleaching colour removal system for unwanted or incorrect hair colour, Eraser will save you time, save your image, & most importantly save your hair. Simple, effective & 100% safe, Eraser specifically targets individual artificial hair colour molecules & leaves the hairs natural pigment untouched. INSTANT PRE-PIGMENTATION SPRAY - THE FASTEST WAY TO REVITALISE TIRED COLOUR. 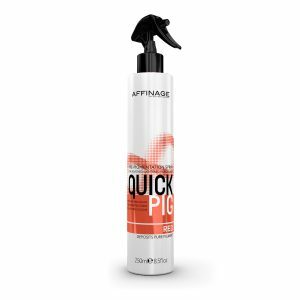 QuickPig is an instant pre-pigmentation solution that will correct and revitalise any permanent or tone-on-tone hair colour. Simply spray the pure pigment on to faded colour before a refresh application. Designed for lightened, bleached and porous hair, QuickPig equalises porosity for more even, intense and longer lasting colour results.